The Botetourt Complex is a collection of small freshman dormitories located on Wake Drive across from Dupont Hall. This complex was originally built to be a new sorority complex but was rejected by the sororities and instead became language houses. Later, the complex was turned into co-ed dormitories. The renamed "Botetourt Residences" were completed in 1973, and three language houses opened in the complex: Spanish, French, and German. Project Plus moved out of the complex at the end of 1981 and in 1982, the individual buildings were named Spotswood, Fauquier, Dinwiddie, Gooch, and Nicholson. The complex was named in honor of Virginia Colonial Governor, Lord Botetourt, who was Rector of the Board of Visitors and much loved by the students of William & Mary. 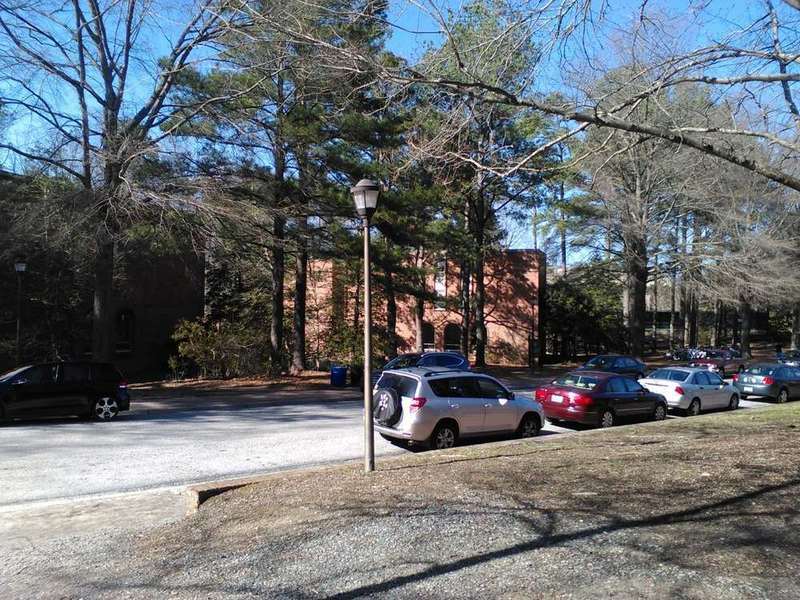 Botetourt Complex, 2015: A photograph of a portion of the freshman dorms that make up the Botetourt Complex in 2015. ~ Source: University Archives Photograph Collection, UA 8. ~ Creator: College of William and Mary. Botetourt Complex, 2015: A portion of the Botetourt Complex in 2015. ~ Source: University Archives Photograph Collection, UA 8. ~ Creator: College of William and Mary. 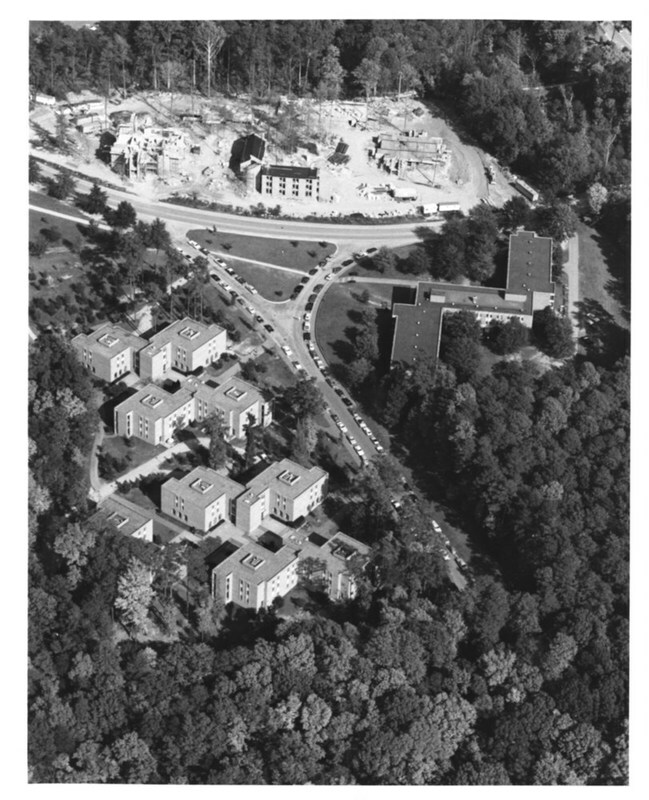 Botetourt Complex aerial, circa 1980: An aerial photograph, circa 1980, of the Botetourt Complex. The construction of the Randolph Complex is also visible. ~ Source: University Archives Photograph Collection, UA 8. ~ Creator: College of William and Mary. 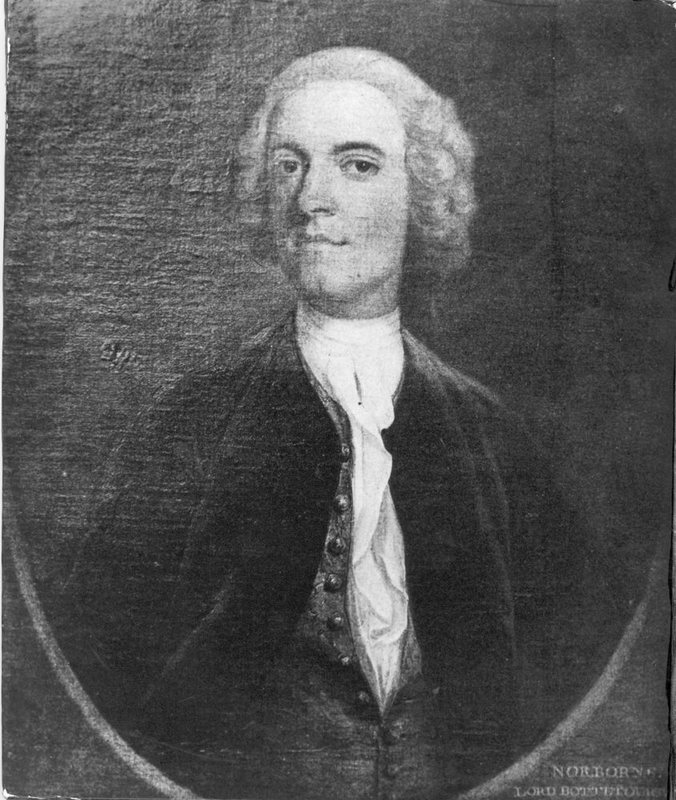 Photograph of a portrait of Lord Botetourt, undated: Norborne Berkeley, 4th Baron Botetourt and for whom the Botetourt Complex was named, was governor of the Virginia Colony from 1768 to 1770 and a member of the Board of Visitors. ~ Source: University Archives Photograph Collection, UA 8. ~ Creator: College of William and Mary. 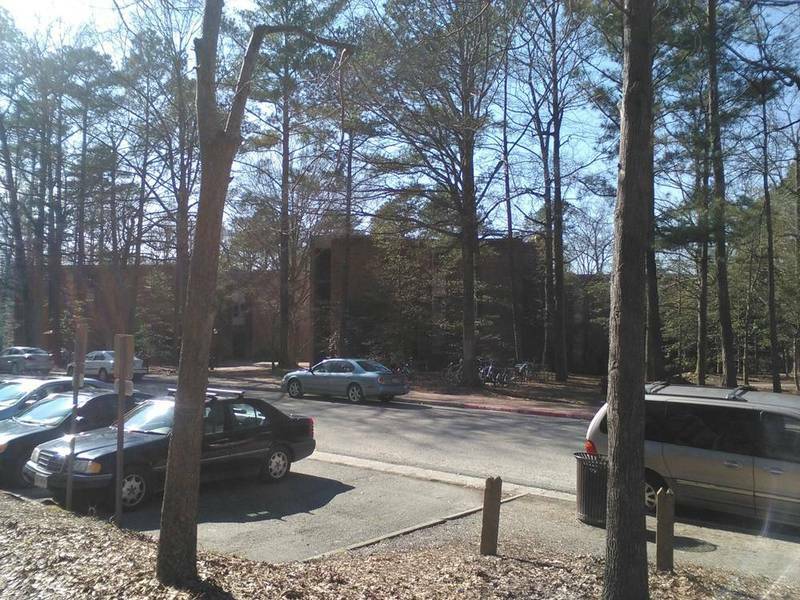 Special Collections Research Center, Swem Library, College of William and Mary., “Botetourt Complex, Constructed 1971-1973,” TribeTrek, accessed April 26, 2019, https://tribetrek.wm.edu/items/show/56.